Most of my brooches are vintage. Some may be reproductions of vintage pins but I do my best to be honest about the age, somethimes its hard to tell. 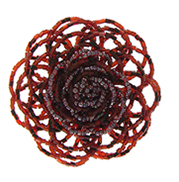 I love wearing these unusual brooches, they really make you a unique fashion statement. 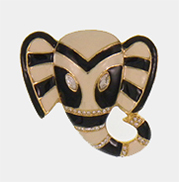 Black and white enameled elephant; vintage brooch. 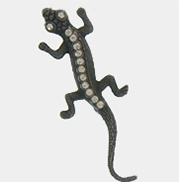 Silver lizard with rhinestones, vintage brooch. 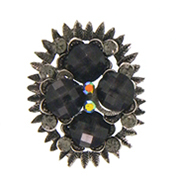 Black sparkly stones on this brooch with color accents. 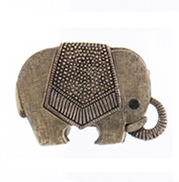 Vintage gray elephant brooch with interesting textures. 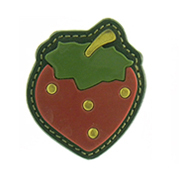 Bold strawberry brooch in red and green leather with studs. 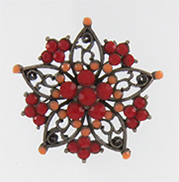 Red seed bead cluster fashion pin. 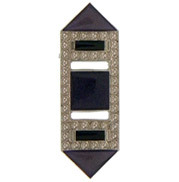 Vintage purple and black brooch with enamel and rhinestones. Gold lizard with rhinestones; vintage brooch. 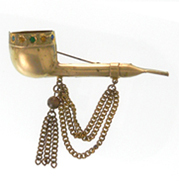 Gold metal pipe with chains. A very unique vintage piece. 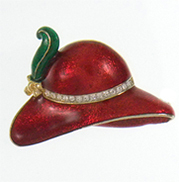 Statement red enamel vintage brooch of lady's hat.